I first heard about Mr. X, the guy who made a million dollars at an estate sale, the way people tend to hear about these things: from a friend of a friend. Mr. X was an art collector and artist in his 40s who specialized in picking and knew everything there was to know about art, Texas art especially. He’d gone to an estate sale a few years back and hit the jackpot. Apparently, it wasn’t the first time. So how does an art guy end up with a million dollar picking hustle? That’s what I set out to learn when I called Mr. X to pick his brain about how to get rich from estate sale-ing. As of late Mr. X has become a family man, so he likes to stick close to home. But whenever the timing’s right and he can find a good estate sale, he goes out on the hunt. 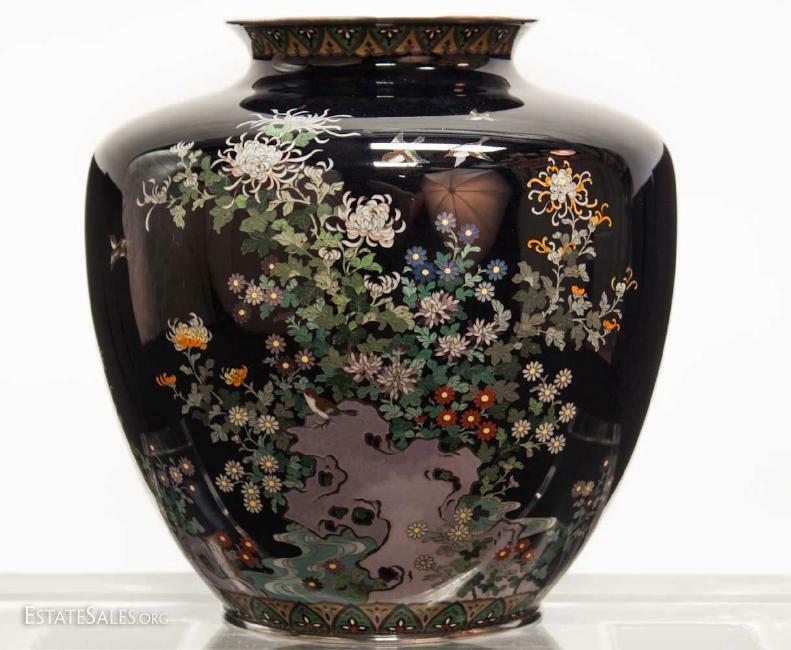 After all it’s hard to walk away from the kind of thrill where you can saunter into an antique store in Smalltown, Texas, haggle a Japanese cloisonne vase down from $85 to $65, and then turn around and sell it to a well-known auction house for $180,000. And that’s just one of the stories Mr. X told me. Some might say he has the eye. But he’d probably tell you picking is in his blood. What began as a proclivity for Texas art, mid-century modern furniture and decor, and oil & gas memorabilia ubiquitous in East Texas, has been refined over the years to make more efficient use of his time — for a bigger return on investment. Mr. X has narrowed down his hunts to estate sale finds with international appeal, pieces that can be bought and sold to big-name houses like Christie’s and Sotheby’s. His specialty as of late? Rare Chinese antiquities. Mr. X didn’t come by the antiquity trend by accident. In fact, after talking to him a few minutes you get the sense that not much in his life is happenstance. I listened while he discussed the ins and outs of ancient Chinese Dynasties the way some people might rattle off sports stats. Whether it’s rare stamps or ancient clay pottery, he’s got an opinion on it. But his picking habit is more than just a penchant for pretties. He keeps his eye on the prize, figuring out in half the time what might take some people years: how to make money shopping estate sales. 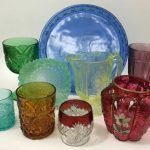 If you frequent estate sales at all, you’ve probably run into some of the regulars, die-hards, often antique dealers, who tail the trends and show up before anyone else does to get the best treasure. They tend to be aggressive, which can seem intimidating to some estate sale shoppers. Mr. X says, “They watch out for me.” In fact, he once supplied most of the antique dealers in his area and antique shows around Texas, filling up their locations or taking orders, dealing mostly in oil & gas and mid century mod, but procuring anything they wanted. He’s even been known to turn around and sell items in the estate sale’s front yard when he’s beat someone to the punch. It’s his experience and persistence that give him his competitive edge, hands-on learning you won’t get online. “There’s not one time been a piece that I’ve spotted and went after that I haven’t got,” he said. So how does Mr. X know whether or not an estate sale will be worth his time ? He finds sales the way most people do: on the internet. 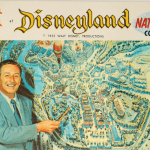 To narrow his search, he looks for “indicators,” details that give insight into the type of of estate sale, like: estate sale photos and descriptions, but also the estate’s neighborhood or the estate sale company’s prior sales. He suggests playing detective on your own to evaluate estate sales since they don’t always include prices on key items. Context clues can offer a wider perspective. “Sometimes you can see some of the prices on some of the other things, and it will give you a general idea of how they are pricing,” Mr. X said. He also suggests checking real estate appraisal records for an idea of the house’s layout. This will give you an idea of where to look when you get through the door. Because when you’re competing for a top-dollar item, you have no time to lose. The Internet is where Mr. X found the million dollar estate sale in the first place. By fate or coincidence, it was the only estate sale that day with any Asian indicators, so it immediately caught his eye. After looking into the estate and sale, he devised his strategy: he would buy up all the Chinese art and antiquities he could, and worry about research later. With the low prices he expected to find, based on other indicators, the pay-off was sure to outweigh the risk. “I knew if this piece, or that one, turns out to be just decorative, not a big deal because of how they were priced to begin with. Some of them were $100, some $300, $150, $20, $5, $10. Low prices.” (When it came to specifics or photos of the items, Mr. X was a bit more guarded, which was understandable. Professional pickers don’t usually like to give away all their secrets). His plan paid off. When the sale opened, he went straight for the items he’d seen online. When the lot of Chinese antiquities turned up an assortment of porcelain, ceramic, and paintings he knew he’d hit the jackpot. However, Mr. X wasn’t in the clear just yet. In order to secure a contract with an auction house, the antiquities would still need to be authenticated. Especially in this market, knock-offs exist. Proper authentication can sometimes take months. When he got home, he began preliminary research, comparing appraisals and pricing online, and it was then that he had a better idea of the treasure he had on his hands — possibly more valuable than he’d imagined. It was through his online research that Mr. X came across the name of original owner of the lot — the estate owners’ ex-husband, who happened to be alive and well in a nearby town. Doing his due diligence, Mr. X contacted the man and sent him some photos, hoping to get more information he needed for authentication. The two exchanged correspondence, but his attempts were unsuccessful. Then, Mr. X finally settled on an auction house and signed the contract that would send the first items on a world tour throughout China, including Tai Pei and Hong Kong. It seemed everything was primed and ready to go — all except for one small catch. The original owner wanted his stuff back. Up until now, things had gone pretty smooth for Mr. X on the treasure-hunting front, with no major hiccups, even when he was bold enough to flip finds in someone’s front yard. But little did he know that when he walked into that estate sale treasure trove, he would also walk into a complicated ex-step-family situation and arduous lawsuit that would question Mr. X’s right to legal ownership. It’s a common scenario, especially with multiple marriages. It’s hardly unusual for an ex-spouse to leave some belongings at their former residence, avoidance or oversight, stuck in a closet or attic where it might gather dust for years— in this case, many years after the divorce. It’s also not unusual for adult children, who may live out of city or state, to not know which items belong to an ex, or how much they’re worth. Without Mom or Dad to ask about old so-and-so’s weird art, the kids are left to figure it out on their own — or rely on an estate sale company. The day before auction, the auction house Mr. X was under contract with received a Cease & Desist letter. The property’s original owner claimed the art had been stolen by the estate. Since Mr. X was now under contract with the auction house, he was liable for hundreds of thousands of dollars. Luckily for Mr. X, after some lengthy litigation, he won the case. There were too many instances where the estate executors did not dot their i’s or cross their t’s, he said. All told, the value of the property amounted to over a million dollars, with still more auctions pending. Not bad for a couple hours spent at a neighborhood estate sale. 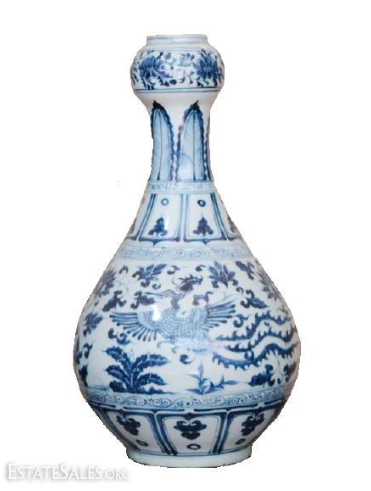 Ming Dynasty vase. Photo courtesy of Jasper52. While this was a happy ending for Mr. X, one suspects it wasn’t so nice for the estate’s executor, or the the original owner of the Chinese antiquities. What went wrong — and how can others avoid this nightmare scenario? Mr. X has a few ideas. The people who held the estate sale cut a lot of corners, he said, choosing not to follow estate sale best practices, like proper and accurate documentation. “The kids apparently didn’t want to process the estate like they should have, and give an inventory or itemized list to the court like they should have as executor,” he said. Had they followed documentation best practices, they would have had more evidence to support their case. The executors also didn’t choose well when they decided to hire an estate sale company. Hiring an estate sale company experienced enough to know how to accurately appraise and price items, even unusual or big-ticket finds, is crucial. One way to determine a company’s expertise is from client reviews. But you should also consider how long they’ve been in business, professional accreditations, formal education, and specializations. The truth is sometimes new or fly-by-night estate sale companies don’t have the expertise that comes with years of experience. To compete with more established businesses, newer estate sale businesses may offer a “good deal,” which might seem to save money up front, but could cost executors millions later — as in the case of Mr. X. “Every estate sale company has the same spiel that leads one to believe that they’re gonna get your family top dollar, and they’re experts on this and that. But at the end of the day, not all of them are,” Mr. X says. Unfortunately, as the number of operating estate sale companies has increased to meet growing demand, so have opportunities for unethical practices. Finally, another issue that led to Mr. X’s victory concerned the estate sale contract. Estate sale contracts should always include a clause to account for any valuable items that may pop up or get “found” during the sale, so they are returned to the estate. In this case, their estate sale contract didn’t include key items. “When they signed the contract with the estate sale company, there was no mention of any art whatsoever in the contract,” he said. 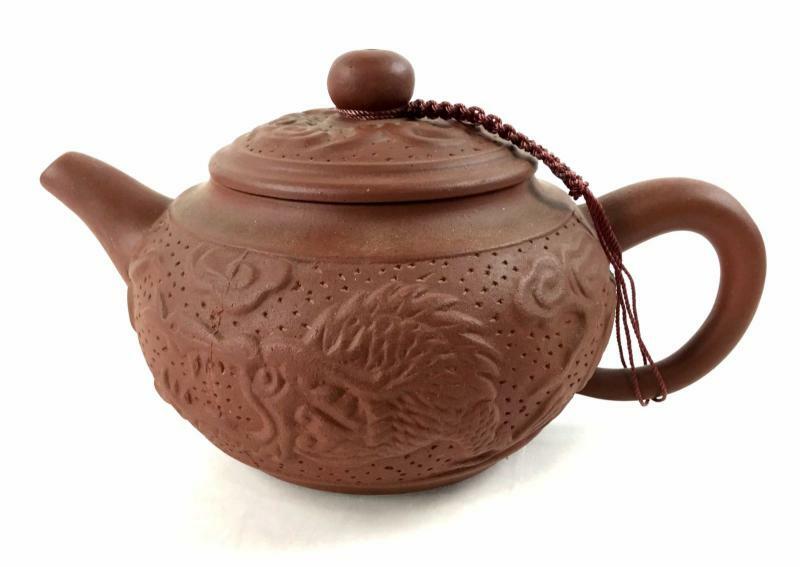 A simple oversight that turned into a win for Mr. X.
Xing Dynasty teapot. Photo courtesy of Jasper52. So how does Mr. X make big money from estate sales? He offers a few tips. Know what will sells by staying on top of the market trends. Because markets fluctuate, what’s hot one year might not be the next. Study the trends by following auction houses and sale records. 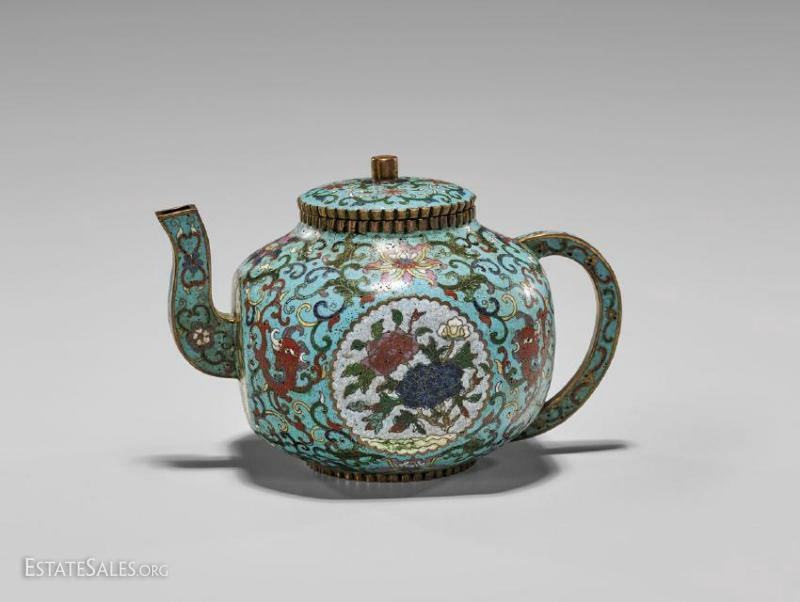 Whether it’s Asian antiquities, rare stamps or coins, or rare art, get to know the niche. For example, valuable Chinese antiquities have reign marks that identify their Dynasty. While the Internet has many valuable pricing and appraisal resources, the best way to study estate sale items is by handling, feeling, and studying them. 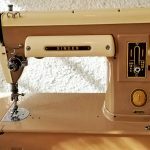 Often, estate sale photos are distant, blurry or won’t show identifying marks. The indicators may look promising, but it’s in poor condition, a repo, from the 1970s, or Made in China — yesterday. Sometimes, you can get idea of the pricing. And alway assess the neighborhood as you would any estate sale. If you have the estate sale’s address, research the property. Mr. X suggests visiting appraisal websites to get an idea of the estate. This gives you an idea of the house layout so you can go straight to the room when the doors open, especially in competitive sales. You can also research estate ownership. Mr. X does a Google background check to see if the owner was in the war, military, or Oil & Gas, for example, to give him a better idea of the potential for authenticity. Look into the estate sale company. New estate sale companies might not be as knowledgeable when it comes to Asian antiquities and, as the case of the aforementioned estate sale, they may price items too low. “They could have a Qing or Ming Dynasty vase or a Qin shi or what have you, and don’t know it, and they’ll have it priced for 100 dollars, 200 dollars,” said Mr. X. If you want to make money off estate sales, you should treat it like a job, which means putting in the hours. Think somewhere is too far to drive because it’s four hours away? Consider the 9-5 grind and making the drive might not seem like such a stretch. Mr. X’s tried and true approach is simple: the early bird catches the worm. “If I see it, I go. I study estate sales in California, San Antonio, Austin, Louisiana, Mississippi, Dallas, and if I see it, I’m either on the road or on the plane to get to it” he said. When he’s in the field, if the sale starts at 8 or 9 in the morning and it seems promising, he’ll even post up the night before, or get there super early to be first or with the first group through the door. This strategy is non-negotiable. One way to make sure you’re covered is to always record everything, from start to finish, for legal purposes. The more information you can provide, the easier it is to prove ownership or provenance in the event of litigation. This is especially true if you shop at estate sales to make a profit. “I would advise anyone doing it to make money to take photographs of the estate sale. Make sure you have the address written on the receipt, and you have all your documentation. So if some piece does turn out to be very valuable, you’re covered,” Mr. X said. Keep at it. You may go weeks before uncovering that big estate sale find, but persistence and consistency are key. Don’t get discouraged by long lines of estate sale shoppers — because they might not even be a threat. “You’ll always have your ladies who go right to the kitchen and look for vintage Pyrex or Ruby Red glass or Pampered Chef. That’s what they come for. So just because you have 30 or 40 people in line doesn’t mean they’re your competition.” said Mr. X. Another tip: stay up to date on the sales in your neighborhood by signing up for daily estate sale updates from EstateSales.org. Get the goods on antiques, collectibles, vintage finds, and all things estate sales.